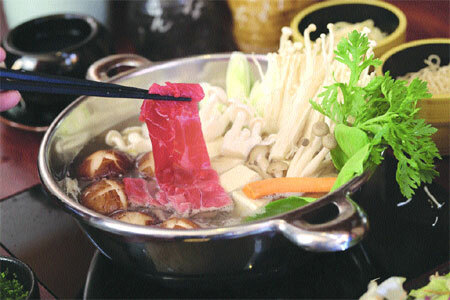 When the weather gets chilli, sit back and enjoy a warm hotpot from Hanoi Daewoo Hotel. This special dish is brought to you by chef Hoai Anh. Wash then chop the cabbage into small pieces. Slide garlic, present on dish with mushrooms, tofu and soya noodles. Slide beef into thin pieces. Put beef tendon, radish, carrots, mirin, soy sauce, Hondashi into the pot and boil for about 30 minutes then serves hot. You can sample this dish at Ha Noi Daewoo Hotel, 360 Kim Ma St, Ba Dinh Dist, Ha Noi. Tel: +84.4.3831.5000 ext 3238.